What is the weather and wind like? From Athens our transfer will take you over the mighty Corinth Canal to your starting point at Epidavros. The lead crew will be there to meet you, and after a very quick boat brief, it will be time for a cold drink and a bite to eat at the nearest taverna. 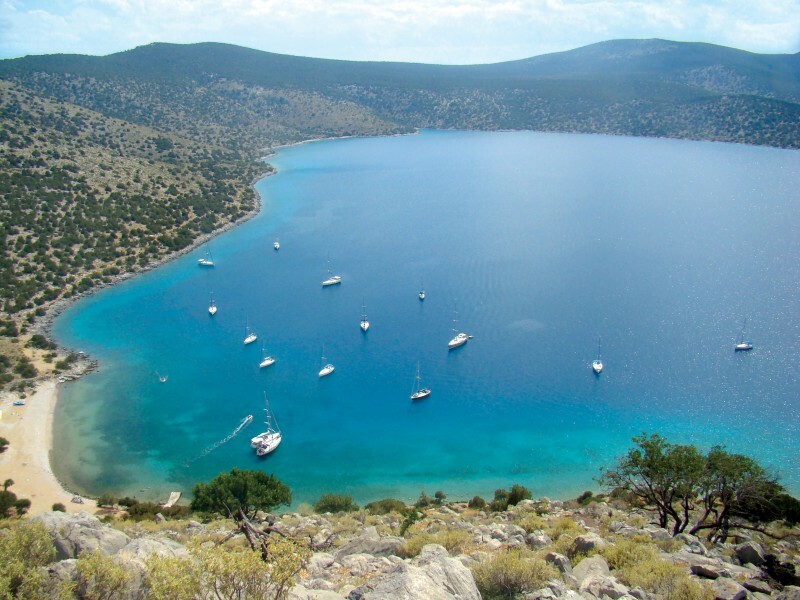 The first few days will be spent acclimatising and exploring the Saronic Gulf. Small village harbours such as Vathi offer wonderfully quiet evenings and an instant escape from daily life at home. In contrast, the buzzing town of Poros offers a truly Greek atmosphere among the quayside and backstreet tavernas that cannot be beaten. Sunset at Poros over the 'sleeping lady' is a site not to be missed. The next few days take you further south into the Aegean Sea where Hydra and Spetses Islands await. Cars were banned on Hydra until very recently so the best way to get from the harbour into town is via horse drawn cart. The boutiques and jewelry shops are hard to resist! During this part of the trip you may spend a night anchored in a bay off Dhokos Island - one of our favourite picnic spots. For this evening the lead crew will put on food and drinks for those who wish to join in. The sunset and stars at Dhokos make for a magical evening. 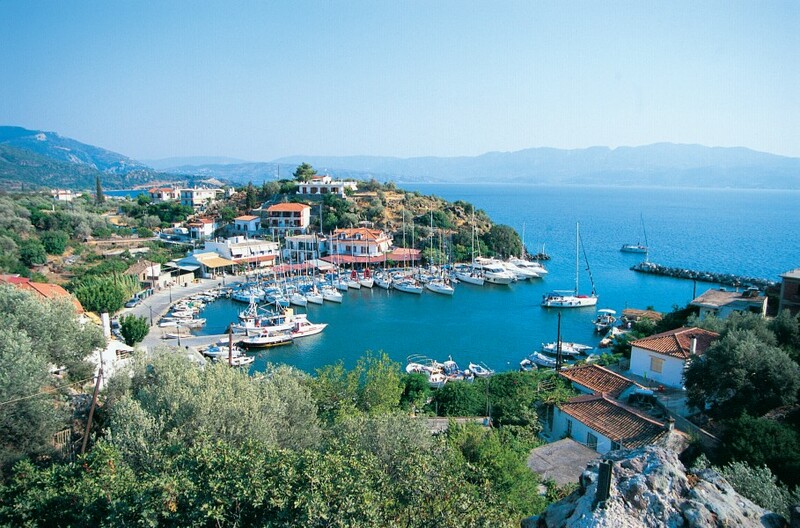 The coastal towns of Kiparissi, Plaka and Tiros are some of our favourite spots. Plaka has a stunning beach so this is a good spot for chilling out in between sails. 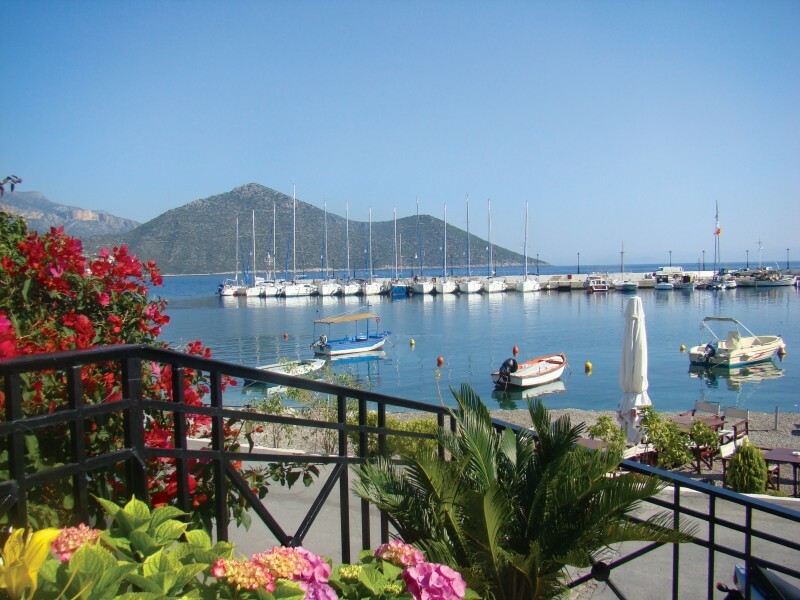 Beautiful new possible stops include the stunning, naturally sheltered harbour of Kiparissi or even in good conditions the village of Ieraka. The air is seldom still, as there is always a breeze from one direction or another. Tiros is a small, stunning fishing village with excellent tavernas and friendly locals - not stops to be missed! Koiladhia is a small fishing town tucked in a bay around Red Cape. It is a very traditional working village, with an abundance of fresh fish. But what does make this place appealing is the vast array of wildlife and the almost guaranteed sight of turtles! Another distinguishing feature of Koiladhia is Francithi Cave that is set in the cliff side just opposite the quay. Navplion is another great stop on this flotilla and will appeal to the history buffs among you. Its history goes back fifteen thousand years or so and many Greek myths and stories emanate from this town and the surrounding area. Navplion is a working port, but the old town has an enchanting atmosphere in the evenings with all sorts of shops and tavernas and even a museum. It is well worth the effort to climb up to the amazingly well preserved castle called Palamidi which towers above the town. The view is one of the more spectacular sights in the area. Astrous, the final stop for this flotill, is a small, stunning fishing village with excellent tavernas and friendly locals. From Athens our transfer will take to over the mighty Corinth Canal to your starting point at Astrous. The lead crew will be there to meet you, and after a very quick boat brief, it will be time for a cold drink and a bite to eat at the nearest taverna. 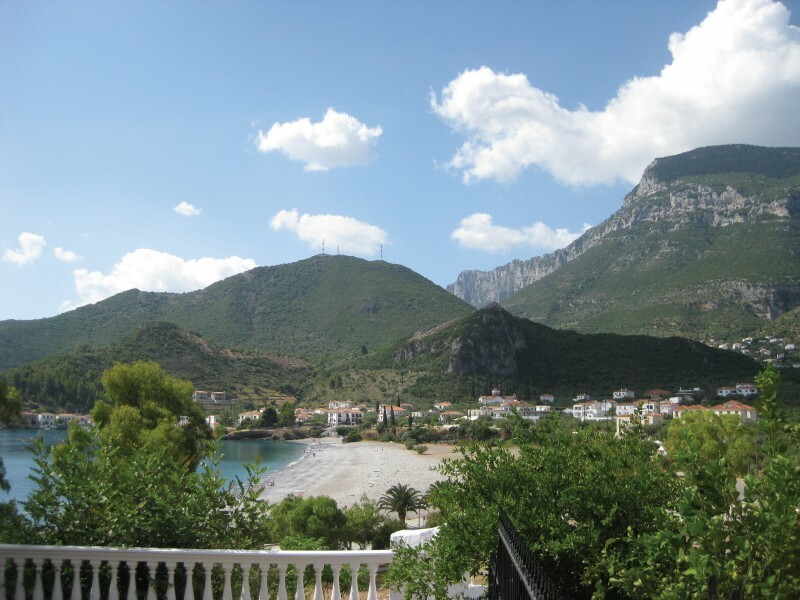 Astrous is a small, stunning fishing village with excellent tavernas and friendly locals. Koiladhia is a small fishing town tucked in a bay around Red Cape. It is a very traditional working village, with an abundance of fresh fish. But what does make this place appealing is the vast array of wildlife and the almost guaranteed sight of turtles! 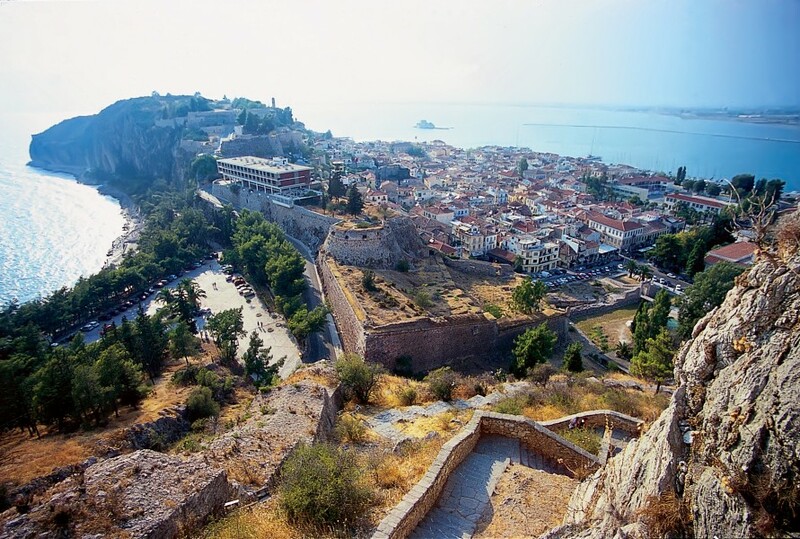 The coastal towns of Kiparissi, Plaka and Tiros are some of our favourite spots. Plaka has a stunning beach so this is a good spot for chilling out in between sails. 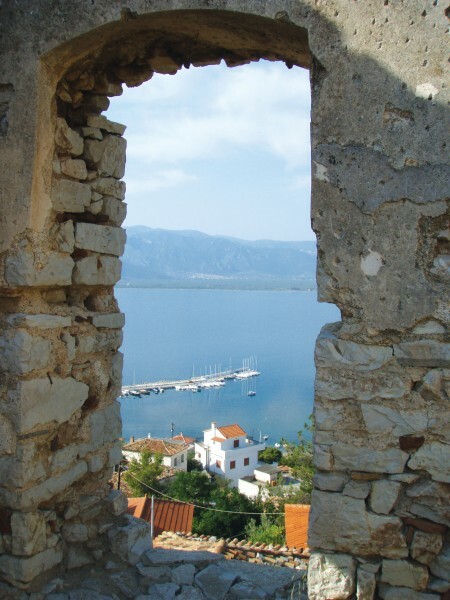 Beautiful new possible stops include the stunning, naturally sheltered harbour of Kiparissi or even in good conditions the village of Ieraka. The air is seldom still, as there is always a breeze from one direction or another. 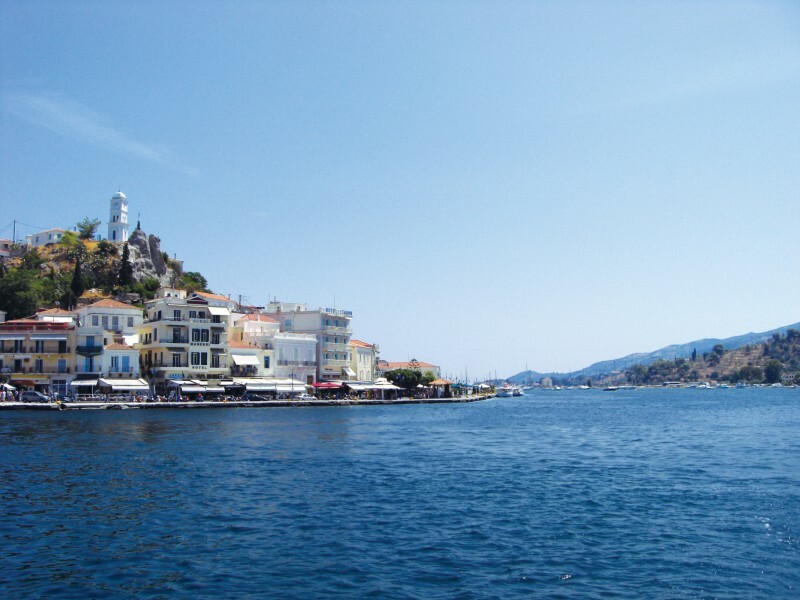 The next few days take you further east where Hydra and Spetses Islands await. 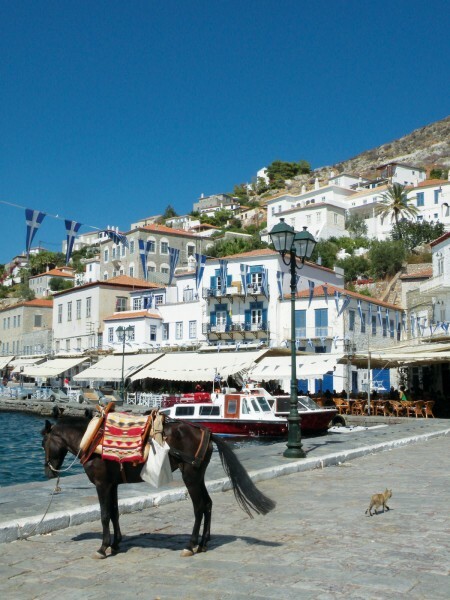 Cars were banned on Hydra until very recently so the best way to get from the harbour into town is via horse drawn cart. The boutiques and jewelry shops are hard to resist! During this part of the trip you may spend a night anchored in a bay off Dhokos Island - one of our favourite picnic spots. For this evening the lead crew will put on food and drinks for those who wish to join in. The sunset and stars at Dhokos make for a magical evening. The next few days will be spent exploring the islands of the Saronic Gulf. Small village harbours such as Vathi offer wonderfully quiet evenings and an instant escape from daily life at home. In contrast the buzzing town of Poros offers a truely Greek atmosphere among the quayside and backstreet tavernas that cannot be beaten. Sunset at Poros over the 'sleeping lady' is a site not to be missed. 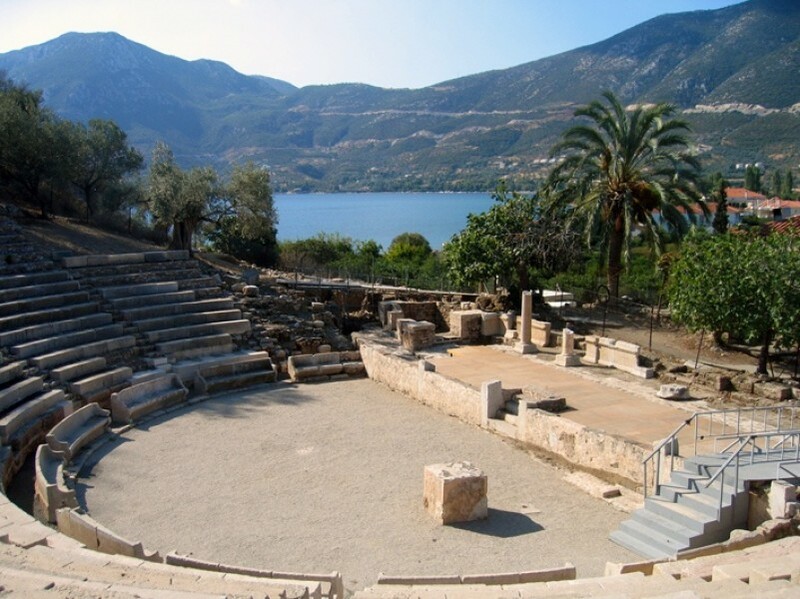 The last stop on this route is in Epidavros, here you'll have one last group meal with your fellow flotilla sailors and raise a glass to a fabulous fortnight before heading home on Sunday morning. Well organised and with a good amount of freedom. A great sailing holiday experience. you get exactly what you pay for - a sailing holiday. The boats are comfortable and well maintained, the flotilla crew are knowledgeable and the Greek Saronic islands are beautiful, we would like to go back and explore further. We have been twice with Sailing Holidays flotillas and the experience both times has been really good. The boats were in very good condition and the lead crews both times were excellent. A huge thank you to the Lead Boat Delphi crew and to everyone else on the flotilla for making such a fantastic holiday. 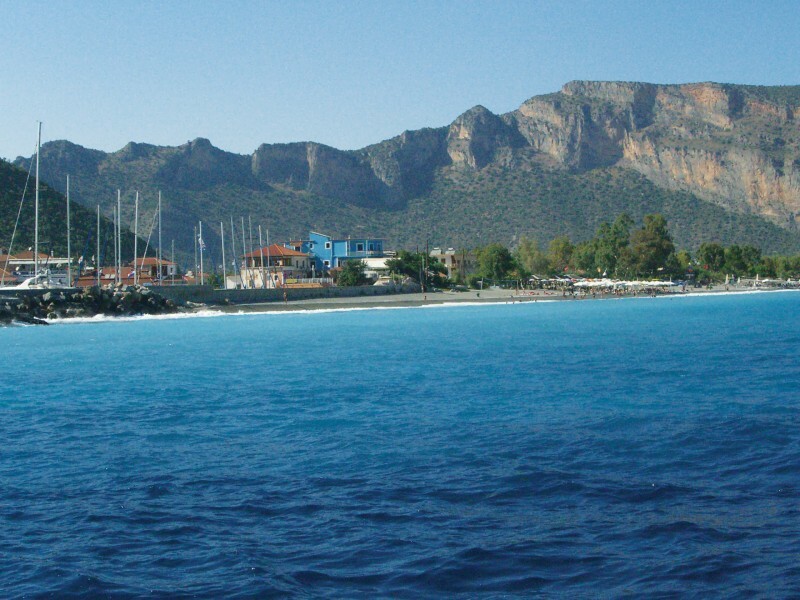 We had terrific sailing, visited some outstanding places especially Monemvasia and with such great company. Thank you all from 'Elfira'! And there were Thunderstorms in Hearthrow !! Just booked to do the corinth delivery back to gouvia so looking forward to it - see you soon!!! 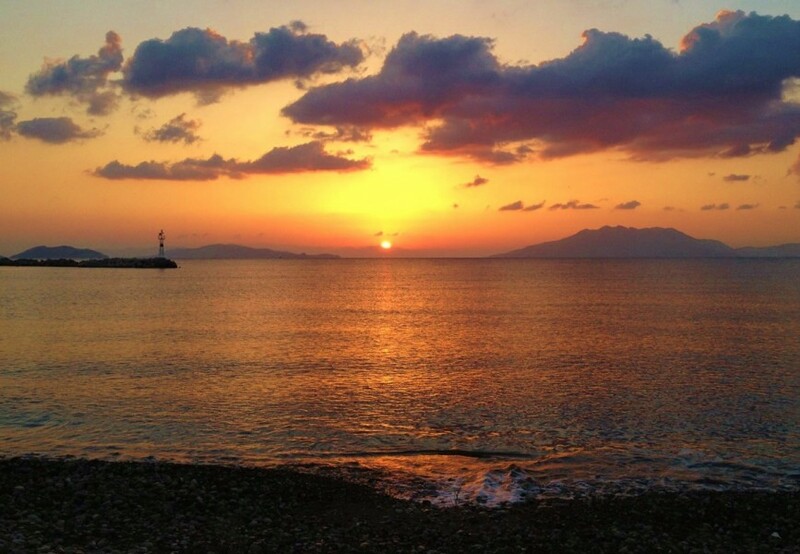 For me, I believe it's the most wonderful week-holiday of this year with enjoying the sailing in Aegean Sea. Thank you so much the Sirocco's crew: Skipper Marc-your great briefing and mooring instrction make us a safe and comfortable sailing; Natasha-the charming tour guide always let us have a lot of fun while off the boat; Mark-when we raised a hand "Sirocoo, we've got a problem", you super engineer works the problem out in no time. You have done great job as a lead boat. We all enjoy a lot and are pleasure being the first group from Taiwan for Sailing Holiday as well. Appreciate again and have a nice sailing! Fab day after finding the dolphins on our last day! Thank you so much Marc, Natasha, and Mark. We had a such wonderful time in a week with friends from Taiwan and most appreciated for getting a cake for my daughter Jessica Enya Lee's 5th birthday. Friends said they have had their best holiday and certainly will do it again. Hope you enjoy the lemon curd, chutney and marmite. I look forward to seeing you in July. Big thank you again to you all and the company, for another great holiday. We will be at the London Boat show next year, in readiness to book another holiday with you. We can't wait to book our next holiday with you. I have just returned from a two week flotilla in the Saronic's with Lead Boat Delphi crewed by Cactus, Patch and Rosie. It's often very easy to get home and get on with normal life and forget all too easily to thank those who ensured that we had a fantastic holiday. It's funny how we find the time to criticise but rarely take the time to compliment. Therefore can you please pass on our thanks to Delphi and her crew. We couldn't have asked for anything more! We returned on Monday from a fantastic 2 weeks aboard Olympia in the Saronics. A big thank you to the lead crew aboard Kyra, with a special mention to Skipper Jay; Jay was relaxed, but always there. He acknowledged the varying abilities of the flotilla and was always there to guide, encourage and help as appropriate. He was also particularly encouraging to the children on the flotilla and they all loved his games and attention. The feel of the flotilla was very relaxed and most enjoyable. We look forward to next year! !